Seems a lot’s been happening here and I didn’t even know it. My blog is most certainly not earth-shattering or highly entertaining or informative. I don’t usually look at stats. Today I received a “comment pending” notification, which very rarely happens around here. Turns out that someone had commented on one of the “Love Never Dies” posts. Well, duh….the dvd was released two weeks ago, so I’m assuming people are checking it out. So I wandered over here, saw my stats, and freaked out. I’m hoping that “Love Never Dies” will get some decent press. The original production received some bad press, and after memorizing the soundtrack from it, I can understand why. But Andrew Lloyd Webber reworked it while going through cancer treatment, and the new production is so much better. One of the comments I heard at the premiere screening back in March or whenever was “there’s not a memorable song in it.” Tell that to my brain. Every note, every phrase, every melody that Webber uses individually and then combines in the most beautiful and haunting ways….for me, this music will never die. One reason I haven’t been here scribbling thoughts is that…..I got a JOB. Well, a (very) part-time job, but what it comes down to is that I get paid to be nice to people I don’t know. I drive people to and from medical appointments. I must admit that it feels good to be needed again. And I’ve met some interesting people, and one VERY interesting person. Most of the driving jobs are withing a 20 mile radius from where I live, with an occasional one that might go a few miles further out. This job involved a pick-up 45 miles from here, then a drive 70 miles to the appointment, a 2 1/2 hour wait, then the return trip. Quick math=$200. Then the scheduling people asked me what color my car was. Weird question, but ok…white. The reply: we’ll send details to your calendar (all scheduling is done w/ Google calendar.) 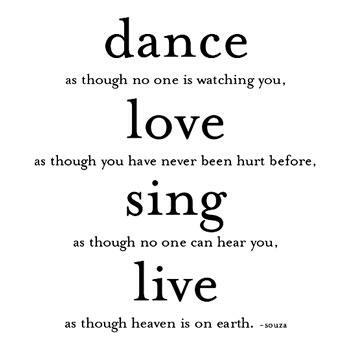 Then, nothing. So I assume they found someone closer to do the job. At midnight, I get a text: are you still willing to take the job? I would need to pick this guy up at 8:30, and he lives an hour from me, but hey, it’s $200. I left in plenty of time to get to the bend in the road that is the town where he lives. I couldn’t find his house…address is a house number on a US route, no mailbox, no nothing. So I called him. He wants to know why I’m so early, then tells me to meet him at a local diner “as soon as my old lady gets back with the truck. Go have breakfast. You can drive from here to my appointment in an hour, right?” Sure, as long as I don’t get caught. So I went to the diner. It was a rabid raccoon. 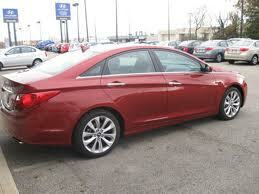 Then he tells me why they asked about the color of my car: he won’t ride in or on anything red. No car, truck, motorcycle, bike, trike, wagon, NOTHING red. All the other drivers had red cars. Seems he’s had back luck with red vehicles over the years, accidents and what-not. During the course of the day I learned some things I didn’t know about interstate travel. My passenger was a truck driver, and he loved to talk. I also learned a lot about his family, his injury, his opinions on life, the universe and everything. After relaying some of the more interesting tidbits I picked up to a friend, she suggested that I “might wanna keep a pitchfork in my trunk.” Very funny. I’m kinda hoping I get to drive him again. And I’ll think about that pitchfork. So yesterday I left off wondering what the answer to that first question was: When do I feel most alive? I should have known that answers where going to start coming from the strangest places, and that they weren’t going to be what I expected. After seeing the film of “Love Never Dies” Tuesday night, I came home and tried to put the storyline together. It took me a while, and what I found was so much deeper than the superficial impression left by the film. *****SPOILER ALERT****** The following paragraphs contain details about Love Never Dies, and I MAY accidentally give away the ending, so if you don’t want to know about the show, skip ahead to the next section. Although, I will admit that my conclusions may not make much sense without these following details. So, we have the same five characters: The Phantom, Christine, Raoul, Madame Giry and her daughter Meg. There is also a new character, a child named Gustave. Here’s all you get as far as the plot goes: Phantom the the Girys have moved to New York where Phantom has purchased a freak show and vaudeville music hall on Coney Island. Meg Giry is the current “star”, Madam Giry still choreographs (and has worked behind the scenes to make Phantom’s new project come to life.) Christine has been invited to sing one aria in the music hall. Raoul is now a drinker and gambler. Their son, Gustave, accompanies them to New York. I’ve listened to the sound track 5 times, according to iTunes, that musical genius that knows all. Each of the main characters is a personification of something in the music world, and has both good and bad qualities. Just like the rest of us, huh? Phamtom personifies the appeal of beautiful music to those who earnestly seek it, those who live for the rush of the perfect performance and the genuine appreciation bestowed upon the performer or performers for a job well done Unfortunately, Phantom also personifies the conflict that faces many composers: to write drivel the masses want to hear, or to write the lush melodies and counterpoints that magically appear inside their heads, waiting to be transcribed to paper. The internal purity of composing for the composition’s sake, coupled with the external ugliness of the commercialization of the music industry is obviously represented by the two sides of his face. Phantom seems to believe that Christine is the only “pure” vessel that will appropriately display his compositions. The vaudeville actors and singers, including Meg Ciry, are adequate for his “bread and butter” tunes. He writes for the vaudevillians; he composes for Christine. Christine is torn between her desire for a “normal” life as a wife and mother and the compulsion she feels to be a better musical artist. She must make sacrifices either way. To keep her family, she must sacrifice her music; to keep her music, she must sacrifice her family. She is looking for the accolades that only the Phantom, the composer, can give. Because she is truly gifted, the genuine approval of the musical community will always be a temptation for her. Raoul loves Christine. Unfortunately, he does not understand her love for music, her physical need for music. Her desire to perform, and to perform well, has pushed Raoul away from her, leaving him flailing in the mire of drunkenness and gambling. Raoul is also very stand-offish to Gustave, their son, perhaps because he is also musical, or perhaps because Raoul is not confident in his role as Gustave’s father. Madame Ciry has been there for Phantom since he was a child. She rescued him from the gypsy troupe that first brought him to the Paris Opera House. After the devastating destruction of the Opera House in Paris, she helps him escape detection from the authorities, arranges passage for him to America, along with herself and her daughter Meg, where she hopes to become the Phantom’s companion and confidante, just as she was during their childhood. Then there’s her daughter Meg, an average singer / dancer who longs for Phantom’s approval, so much so that she will do, and has done, just about anything to gain his approval, acceptance and love. The conflicts between characters are myriad and complicated. They are revealed during the production in various recitatives that must be pored over multiple times before they start to become clear. Jealousy runs rampant: Madame and Meg Ciry are jealous of Christine. Raoul is jealous of Christine and of Phantom. The relationships are multi-level and complicated. And the end of the story is devastating. I am Meg. I long for, have always dreamed of, being the one of the fraction of 1% of those who can play or sing and wring every drop of emotion, praise and pathos, from whatever composition is in front of me. I may have been able to do that at one time, but not now. My time is past. Perhaps, like Meg’s, it never was in the first place. I am Madame Ciry. I have past my prime, and my purpose is to protect music from the impostors that spring up like weeds daily. I want something to remain of the beautiful music of the last 500 years for my children and grand-children to enjoy. But I haven’t taught them what they need to know, what is worth proecting and what is fit only for the trash bin. I am Raoul. I want to understand what I’m feeling. I want to understand the jealousy I have for those who are capable of doing what I can’t. But I don’t try to understand it. I run away from it. I am Phantom. In some ways, I’ve sold out to vaudeville. Only in my world, vaudeville was corporate America; it was, and continues to be, the illness I brought home from corporate America. I don’t know how to find my way back. And I want to produce the gorgeous works that seem to come miraculously from his head. Wonder what life is like for Andrew Lloyd Webber? I can’t imagine. And I am Christine. I want my family. but I also want to “pay homage to music”, as Phantom says. And here is the major conflict: If Christine sings, she gives herself over to Phantom completely, and loses her family. If she refuses to sing, Phantom will pay her family’s debts and they are all free to leave. The problem is that it’s a trap: Phantom owns her either way. If she sings, he owns her musical soul and she must submit to him 100%. If she refuses, he pays her husband’s debts; therefore, he still owns her, and her family, 100%. Her choice is devastating. She does sing, but no one gets to own her in the end. The aria she sings is the title song, “Love Never Dies”. What I hear in the words is that, no matter what happens to me, or to you, or to music or to whatever you hold sacred, that something will never die. So, what’s the answer to the question? When do i feel most alive? When I’m listening to the Brahms Requiem, or Chicago Live at Carnegie Hall, or Vladimir Horowitz, or Lynyrd Skynyrd….or whoever suits my mood at the time. I’m driving in my car, windows down, wind trying to blow through my very short hair, singing (badly) at the top of my lungs. All by myself. No one to listen. To criticize. To suggest I change this or that. Just me and my ho-hum voice. Wait…Gustave may be in the passenger seat. Tuesday evening, Hubby and I did something that we haven’t done since I can’t remember when: we went to a movie. And not just any old movie that’s currently playing at the local multiplex. 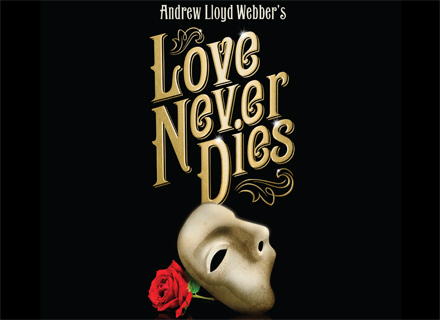 It was a film of the Sydney stage production of “Love Never Dies”, Andrew Lloyd Webber’s sequel to “Phantom”. I must admit up front that I have never seen the original stage production of “Phantom”, only the 2004 movie. I understand, from those that know about these things, that the stage production is somewhat different from the movie. Well of course it is; movies almost always change something about the books or stage productions they are based on. At any rate, I love the movie, and am pretty sure that stage play fanatics would be derelict in their duties if they didn’t point out the differences between the two. Please, do that. I’m clueless. The story is gut-wrenching in the end. The music was Andrew Lloyd Webber: Enough said, as far as I’m concerned. I did hear someone say afterward that there wasn’t “one good stand-alone song” in the whole thing. I’ve also read critical reviews that complained about Webber borrowing heavily from his earlier works. Well, of course he did. All composers do. That’s one of many things I adore about Webber’s music. The main thing I adore about his music is, well, his music. Its ability to reach the hidden places in his listener’s hearts, its innate beauty, its raw passion. I kept a tissue wadded in my hand throughout the whole thing, waiting for it to rip my heart out. And it did, but I kept it all inside. Until yesterday, when I found the soundtrack on iTunes. I listened to the entire thing, twice. There were references that I couldn’t quite grasp during the film. Listening to the score again yesterday left those details engraved in the palms of my hands. And the tears…….oh my goodness, the tears. I read something last week about taking your “greatest wounds” and turning them into “your most defining gifts.” Sounds all new-age and touchy-feely, doesn’t it? I scribbled down some questions I was supposed to consider, and some suggestions for silencing my inner critic. The inner critic part wasn’t hard to address. 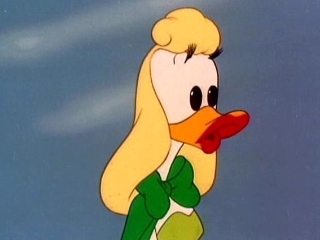 (Oh, in the annoying category, why does Google show me pictures of Daisy Duck when I search for Daffy’s girlfriend? 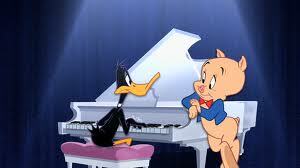 For Pete’s sake, Daffy and Donald aren’t related, and their girlfriends have never met! If you recognize Celia up there, then you know how she talks, sort of breathless Marilyn Monroe-ish, but not quite. One of my tasks in defining, and silencing, my inner critic was to name her and draw her picture. Done. Another was to give her a cartoon voice, so that when I hear her droning in the background of my consciousness, she sounds like…you guessed it…Daffy’s girlfriend. The other tasks were to: a) stop grappling with her, b) simply notice, but do not acknowledge, what she says, and c) if I must talk back to her, be snarky. OK, got that. Things have been snarky around here lately, and I guess it’s better for me to be snarky to an imaginary cartoon character that lives in my head than it is to be snarky with Hubby or Kate, or even Wubby. What would everyone you know say was the one thing about you that draws them to you? What is something you have been doing, with ease, for your entire life? What is the opposite of your wound? I couldn’t look at question number 1, so I started with number 4 and worked backwards, which pointed out to me, in great detail, that the wound or wounds needed some definition. Seriously, how can you define the opposite of your wounds without first defining what those wounds are? The first thing that came to mind was “loss”. What have I lost? Where did it go? Did I lose it on purpose, or did it wander off because I neglected it? Good grief, more questions. We all lose a great many things as we grow up: intangibles like innocence, wonder, playfulness. Tangibles: beloved toys, mementos of long ago occasions, small tokens from friends that we swore to ourselves we would long cherish, only to wake up one morning twenty-five years later and ask ourselves, “Wonder what ever happened to that St. Christopher medal Kevin gave me before I moved that time?” Because I moved a lot, I think of the people who came into my life, and then disappeared when I moved away. Then there’s the devastating losses we all go through as life marches on: grandparents, parents, siblings, life-long friends. That cumulative sense of loss that grows over time into loneliness, that sense of abandonment that we know isn’t REAL abandonment, but sure feels like it when we are most vulnerable to it. Since I was a little kid, abandoned toys have always made me cry. I see a discarded doll at the thrift shop and wonder, “Did someone ever love her? Why is she here?”. Or the obviously well-loved teddy bear: “How did the child that loved that bear part with him?” And let’s not talk about the Velveteen Rabbit, OK? Then there’s the “wound” of hyper-responsibility. I had a psych doctor tell me once that he fully expected me to take full responsibility for the famine in Ethiopia. I noticed just how many times the phrase “I’m sorry” came out of my mouth during the trip with CG and company to the horse party. “I’m sorry it’s cold, Kate.” as opposed to, “Yes, Kate, it is cold. Maybe you should get another blanket.” I’m pretty sure that those words “I’m sorry” were spoken in a breathless, Marilyn Monroe-ish voice, and the speaker looked a lot like Daffy’s girlfriend. So, what is the opposite of “loneliness,” or “hyper-responsibility”? Still thinking about that. Thesaurus.com says the antonyns for “loneliness” are “befriended” and “loved.” I know I am those things, but sometimes the head knowledge gets tangled up in my brain and then can’t get down to my heart where they belong. And most of the antonyms for “responsibility” have negative connotations: excess, refusal, broken promise, contradiction, ignorance, neglect, carelessness, thoughtlessness. Wait, what was the original assignment? Find the opposite of my wounds, because they can be my most defining gifts. Excess, refusal, broken promises, contradiction, ignorance, neglect, carelessness, thoughtlessness…these are gifts? I don’t think so. Let’s look again; there must be some positive antonyms for “responsibility”: relief, aid, freedom. Here’s the web page; check it for yourself. Time for question 3: What is something you have been doing, with ease, for your entire life? Well, lots of things. Remember the first line of Hubble’s short story in the movie “The Way We Were”? I do: “In a way he was like the country he lived in. Everything came too easily for him.” I look at those words and so many things come to mind. Reading, learning, playing / interpreting / loving music, adapting to new demands at work, etc. There’s a great deal of discussion these days about our country and how everything has always come too easily for us, and about what’s going to happen when things get hard. And our kids, generation iY, how we’ve made everything so easy for them that they don’t know how to do anything for themselves. But that’s not what I’m about right now. I look at those “wounds” again, loneliness and responsibility, and they don’t look quite so bad now. I’m turning “wounds” into “gifts”, right? So my gifts are: friends, love, relief, and freedom. That looks like a list worth keeping. Question 2: I can’t answer that one, because it’s asking me to interpret what my friends would say in response. I don’t know that, and furthermore, the pool of candidates available to answer it is small. Which brings me back to question 1, the one I didn’t want to look at in the first place. When do I feel most alive? I thought the answer might have something to do with the piano, but it doesn’t. Not really. I can’t play like I used to, and never will. You know, “we ain’t spring chickens any more!” Well then, does the answer have anything to do with music? Yes, and no. Part of the answer came to me Tuesday night. It’s complicated, and I have places to go today, and I can’t remember the last time this many words came out of my brain, through the synapses to my fingers and out onto the keyboard.